The great thing about being at a conference like Channel Partners is that everyone is there. I do a lot of briefings and interviews, and this is the best way to do them in person and over a short period of time. If there’s one company I know well in this space it’s Vonage, and I would contend that nobody in the industry has followed them for so long or as closely as me. This time around, I got to sit down with the core of their leadership, namely CEO Alan Masarek, Vonage Business President Clark Peterson, and CMO Ted Gilvar. In my mind, Vonage Business is one of the pleasant surprises in this space, and they’ve come a long way in the past year. That’s actually saying a lot given how quickly things are changing and where they’re coming from. If you haven’t kept pace and are still wondering what Vonage is doing in the business VoIP market, this post will be a good starting point. This isn’t the time for a Vonage history lesson – maybe later – but it’s ideal for focusing on why they’re having success in the business market, and why they’re a good channel partner. We covered a lot of ground during our briefing, and I’m going to distill the conversation down to two basic takeaways for how they got here from, well, there. More than any other VoIP provider, Vonage has a name, and we all know them from the consumer market. The history is long, and they have paved the way for every other VoIP player since. As noted by Ted Gilvar, they have spent $2 billion building the brand, and it’s more relevant to the business market than you might think. Being public, their metrics are closely followed, and while their base of residential subscribers isn’t that impressive – 1.9 million – this line of business is more profitable than ever before. This might sound odd given that the residential landline market is in terminal decline, but there’s still a lot of business to be had. Having invested in building the brand for so long, they have been able to leverage today’s digital direct response methods to lower customer acquisition costs. Not only is this a key metric for surviving in a business that’s very price competitive with nominal switching costs, but it translates into higher margins. On a standalone basis, this makes their residential business attractively profitable, but those returns are actually being used for a higher purpose. While this has long been Vonage’s core business, they also know that the business market is the bigger and better opportunity. 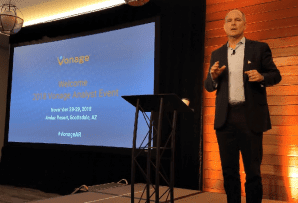 Currently Vonage Business generates about one third of total revenues, but they expect it will surpass their residential revenues within two years. In this context, the profitable residential business really serves as the cash cow to support efforts to drive Vonage Business. The residential business is relatively mature, and given broader consumer trends, it doesn’t really need much in the way of innovation. Vonage will get far better returns focusing their R&D on the growth opportunity – not just to make the offerings leading edge, but being new players, they also need to invest heavily in the channel to establish clear paths to market. No other player in the hosted VoIP/UCaaS space has the luxury of a healthy residential business to subsidize growth at Vonage’s level, and that goes a long way to explaining why and how Vonage Business has come such a long way in so little time. Takeaway #2 -What makes them successful in the business market? While Vonage’s consumer business was built from the ground-up, their entry into the business market has come via a series of recent acquisitions. 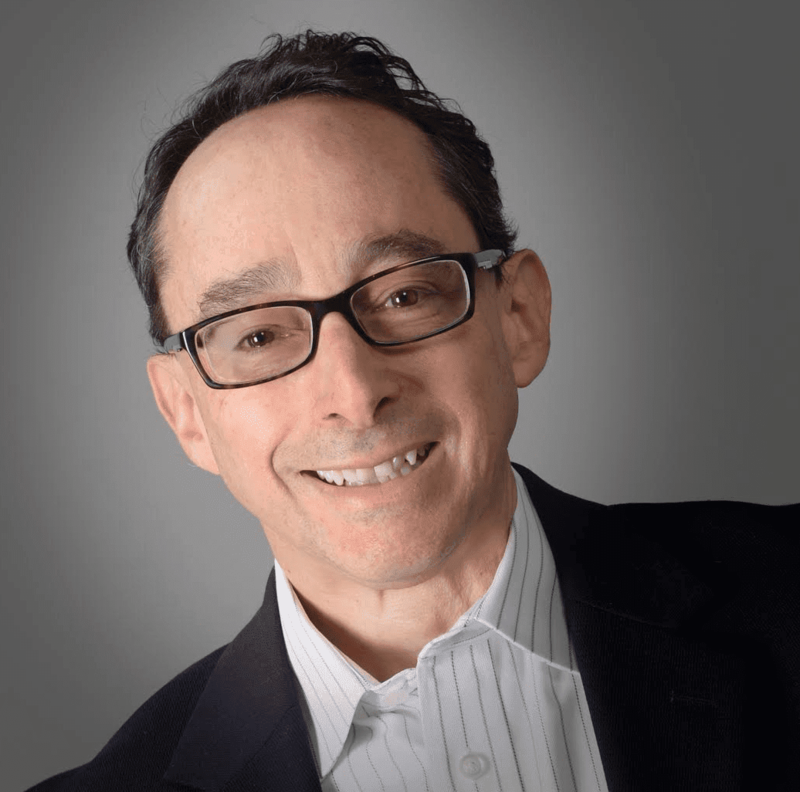 They’ve done a great job putting the pieces in place, and unlike their competitors they have distinct approaches to the SMB and enterprise markets. The former is supported by Vonage Essentials, which is their proprietary stack, while Vonage Premiere is BroadSoft-based, primarily serving enterprise customers. During the briefing, they explained how each market has different needs – how they buy, why they buy, what applications they need, how they’ll be supported, etc. As we know, enterprises are less price-conscious and have more complex needs – also, it’s a “longer customer journey”. SMBs, on the other hand, look for a simpler feature set, with an easy buying process and rapid deployment model. Also, they buy more on price and brand, with the latter being Vonage’s biggest edge over the competition. The UCaaS providers chasing SMBs makes for a very crowded space, and with limited differentiation, brand goes a long way to winning deals. 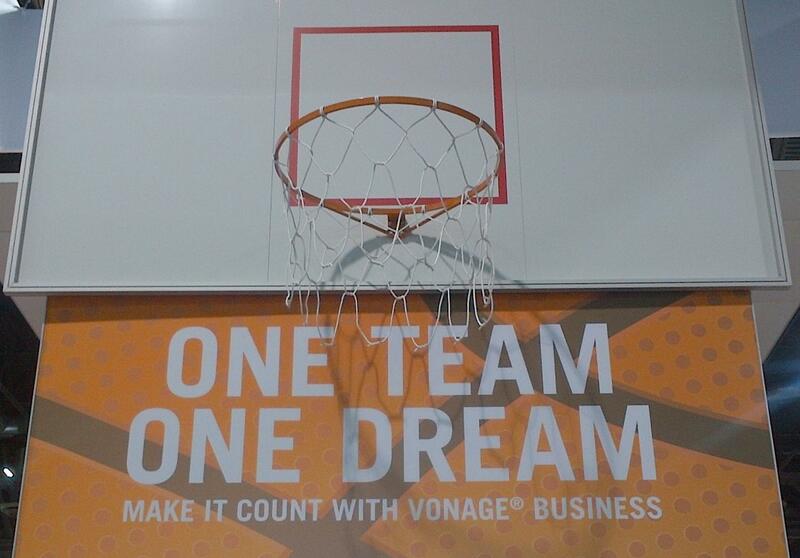 They contend Vonage Business has over 60% brand recognition, while the other players just register in single digits. I can’t validate those metrics, but they’re certainly in line with what I see in the market. Going further for enterprise customers, with so many operators using BroadSoft, it’s a real challenge to differentiate. One way Vonage Business does this is by upselling with QoS, allowing them to provide carrier-grade quality to compete against the incumbents who are now pushing hard with their own UCaaS offerings. This capability comes largely from Telesphere’s MPLS network, and more recently complemented by SimpleSignal’s acquisition, giving them a total of 21 PoPs. When considering all the capabilities that came with their acquisitions, Vonage Business offers a turnkey solution that’s channel-friendly. Beyond QoS-based VoIP, they can support enterprises with a full suite of integrations, such as NetSuite, Salesforce.com, Zendesk, Zoho, Bullhorn, Microsoft Dynamics, and Microsoft 365/SFB. 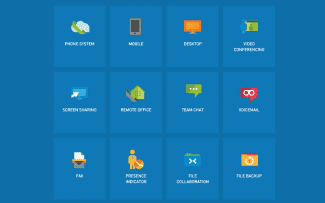 There’s a strong mix here of productivity tools and contact center applications that allow Vonage Business to compete today against well-established competitors. On the back end, their Zeus customer portal makes life easier when it comes to provisioning and customizing applications. Finally, on the business end, they have a national network of 95 channel managers to drive service delivery, with plans to grow that network to be 140 strong. When it comes to selling cloud services, this is what channel partners look for, and given the momentum Vonage Business is seeing, they’ve figured this out pretty quickly. By properly supporting the channel end-to-end, not only do they make it easier to close deals faster, but smooth integrations make for rapid deployment. When that happens, the end customer experiences much less friction than in the past, and that helps raise the cost of switching. This last point is key for the channel, as customer retention translates into steady revenues, which is the lifeblood of the cloud business. On that count, Vonage certainly holds their own, having reduced their overall monthly churn rate from around 1.5% to 1.1%. Finally, on an anecdotal level, their management team shared with me an interesting comparison from last year’s CP Expo. At that time, Vonage was just starting its push up market, and the channels were asking if their brand would resonate and help them succeed in the business space. This year, “nobody is asking any more”. Channel Partners isn’t the only event where I’ve seen a strong presence from Vonage Business for both SMB and enterprise, and it’s clear that they now have a seat at the table, right up there with the incumbent telcos and cable operators. With the cloud really catching fire now, their timing has been spot on to go all-in with UCaaS. Although their residential business will likely remain healthy for some time, it’s clear that UCaaS is the focus going forward. So much so, that in due time, they believe they’ll be able to drop the Vonage Business moniker and just call it Vonage. 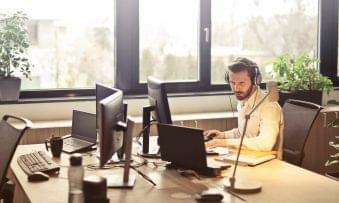 UCaaS is still an emerging opportunity, and they’re as well positioned as anyone to become a top tier player, at which point they’ll have earned the right to shorten their name.